Hello. I’m Augustine with Augustino Brewing Company. Today, we are talking about finding coffee shops in Wichita or where to look to find coffee shops in Wichita. Wichita is a great town. If you’ve never been here, you need to come here. Many of you probably live here, which is why you’ve stumbled upon this podcast, but for those of you who haven’t, you need to come to Wichita. We’re a very quiet, humble blend of people who really love our town. You’re going to find a lot of friendly people here in Wichita, but if you’re not a friendly person, stay away because we don’t need to be corrupted by a bunch of non-friendly people from other parts of the country. Anyway, when you are looking around to find coffee shops in Wichita, a fun way to do it, especially if you’re from out of town, just jump in your car and drive around, and you’re going to find a lot of wonderful coffee shops throughout town and throughout our area. I encourage you to just get out and explore Wichita. For those who are local here in Wichita, one of the things that really is frustrating to me is to hear all of these people saying that there’s nothing to do here in Wichita. There is great things to do in Wichita. You know what? A lot of those great things surround our breweries and our coffee shops. They are becoming more and more the hubs for not just good food, not just good beer, not just good coffee, but they’re also the hubs for culture in our area. That’s true throughout the country. That’s one thing that makes me proud to be coming into the craft beer/craft coffee industries as one of the co-founders of Augustino Brewing Company. By coming into this industry, I’ve been able to do a lot of my own research. When it comes to looking around to find coffee shops in Wichita, you’re going to find a lot of them. Just on the west side of town, I can think of a few really fantastic coffee shops just in our small area, similar on the west side of town, and then downtown, you’ve got a number of great coffee shops there, as well. If you’re looking for trying to find coffee shops in Wichita, really you need look no further than just to simply go to the Internet and search for finding coffee shops in Wichita. That may have been how you stumbled upon this podcast, as well, but I would go there. I would search thoroughly on Google. 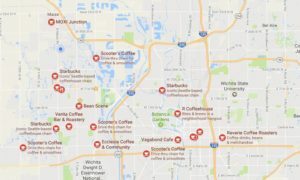 One of the nice things, in terms of looking to find coffee shops in Wichita, is when you go to Google and you do that search, you get a nice map that pops up with all the different coffee shop locations in the near area. If you go and you pull up that map, you’re going to see the names, the locations, and you’re also going to see ratings and hours of all of those coffee shops. Those are ways in which you can make a determination as to which of the coffee shops in Wichita you’d like to go to. Depending on the time of day, there may be some shops that are more catering to you than others. 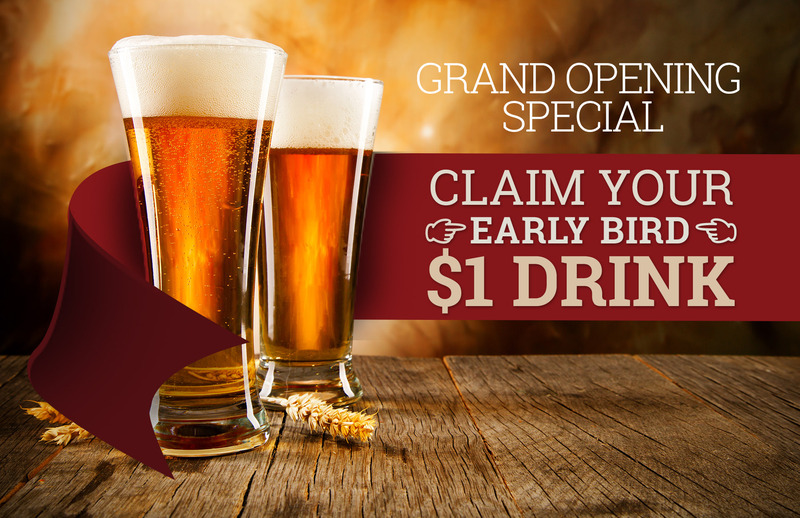 One of the nice things about Augustino Brewing Company is because we are full service brewery/coffee shop, and we’re going to have food, we’re going to have longer hours than most of the other coffee shops in Wichita, so we’re looking forward to being able to serve you both in the morning hours, as well as in the late evening hours for those of you who are night owls out there. We know that there’s a lot of college kids here in Wichita that are up late into the night. One good way to stay up late into the night studying or doing whatever else is having a great cup of coffee. We’re going to be here to serve you wonderful espressos, drinks from early in the morning till late at night. That’s one of the things to really think about in terms of choosing the coffee shop you go to is can you hang out there early in the morning, late at night. Also, another thing that’s important to look at is which of the coffee shops offers the kind of drinks and the diversity of drinks that you’re looking for. There are some coffee shops that will not just do your traditional espresso drinks, but they’ll also produce wonderful pour-overs and make coffee beverages through a number of different extraction methods, and that’s really fun, especially if you’re a coffee nerd, is to try the exact same coffee through different brewing methods because you’ll find on the coffee side, if you take the same coffee and you just brew it up three, four, five different ways, you’re going to get a totally different result, and that’s even before you’ve added any additional ingredients into that coffee beverage, which is something that’s very exciting to me. One of the ways you’re able to find out that information and how exploratory a particular coffee shop is going to be is to simply go to their website. Ours is AugustinoBrew.com. It’s getting a little bit better every day. We got a little ways to go, but we’re going to get that to be a site that is not just a site that is self promoting to us, but is also going to become a site that’s educational. We want to get a lot of good materials up there that will not only show you where we are, where we’re going, but also to help you understand a little bit more about craft beer, craft coffee, craft food, and about just the wonderful renaissance that we have in beverages going on here in the United States, and really to a lesser extent throughout the world. What I’m hoping that you’ll be able to do is get out there, take a look at our wonderful city here in Wichita, and just look around, and you’re going to find coffee shops in Wichita that meet your particular tastes and desires because that’s the other thing that gets beyond just the surface level as far as coffee shops is what are the locations that just meet the needs that you have as an individual in terms of environment, experience, and there are many different coffee shops and many different experiences, so you’ve got to get out there. Try them all. Enjoy them all. Find out where you just feel at home at because just because you feel at home and are enjoying yourself at one coffee shop doesn’t mean your friend will. Your friend might love a totally different environment from what you do. Get out there and enjoy the great coffee culture here in Wichita, Kansas, and find the coffee shops here in Wichita, and you’re going to find a fantastic experience.